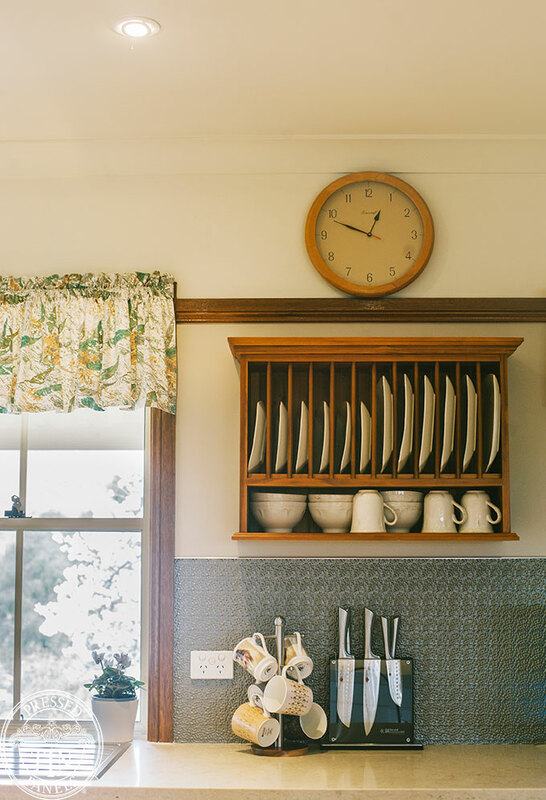 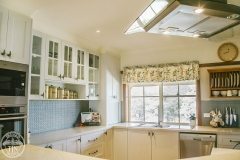 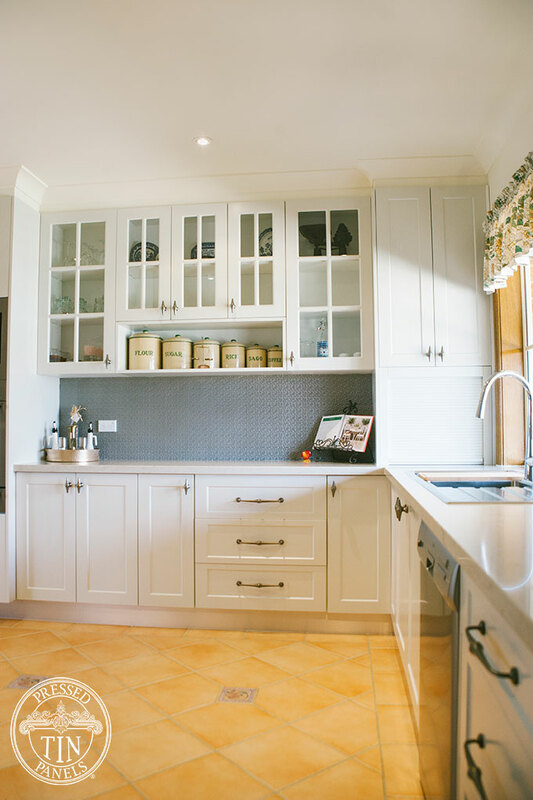 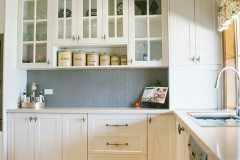 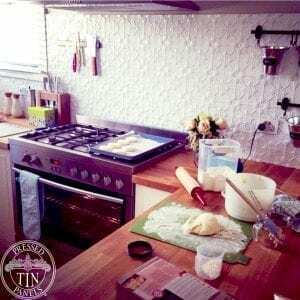 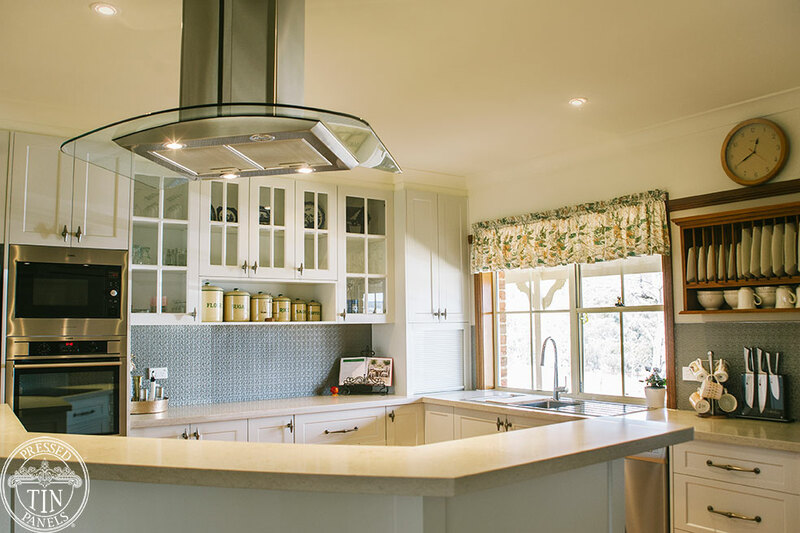 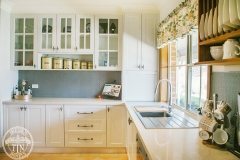 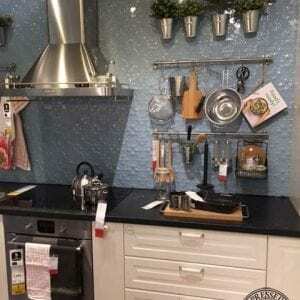 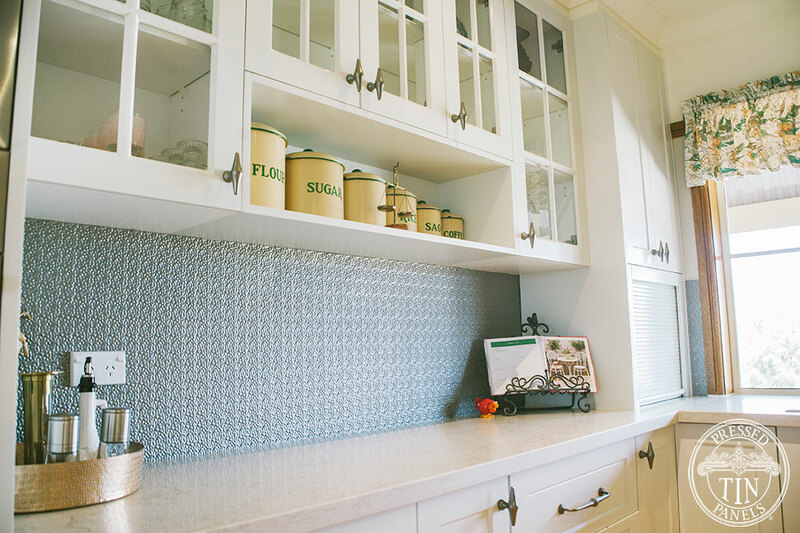 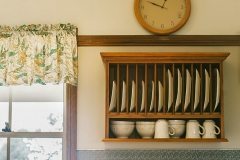 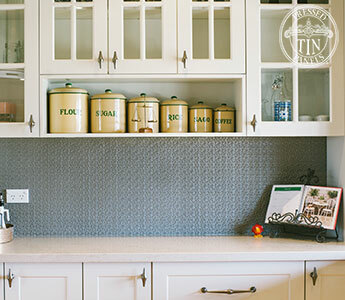 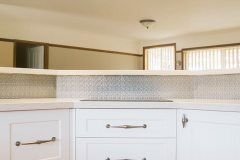 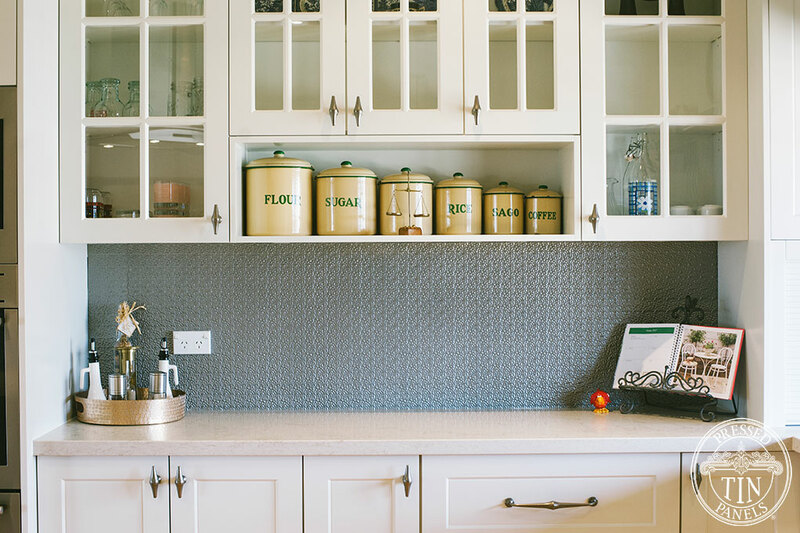 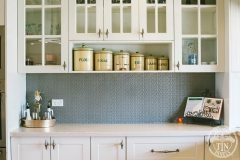 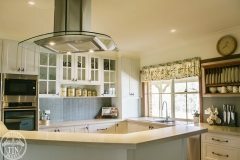 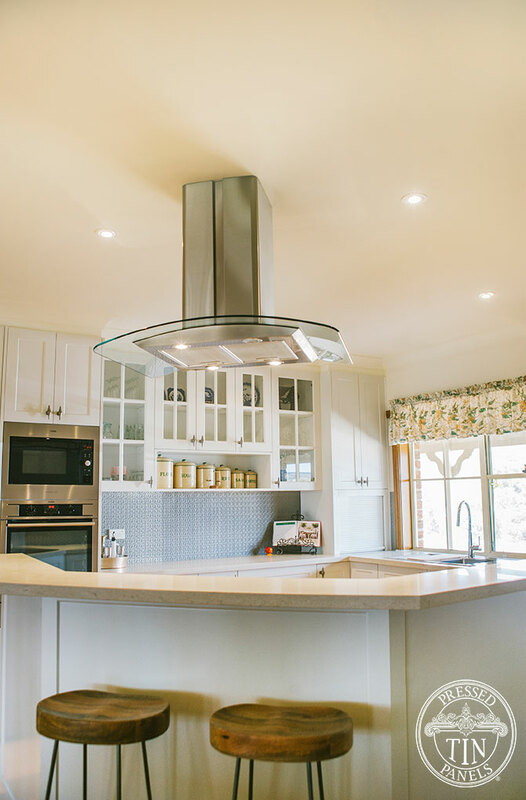 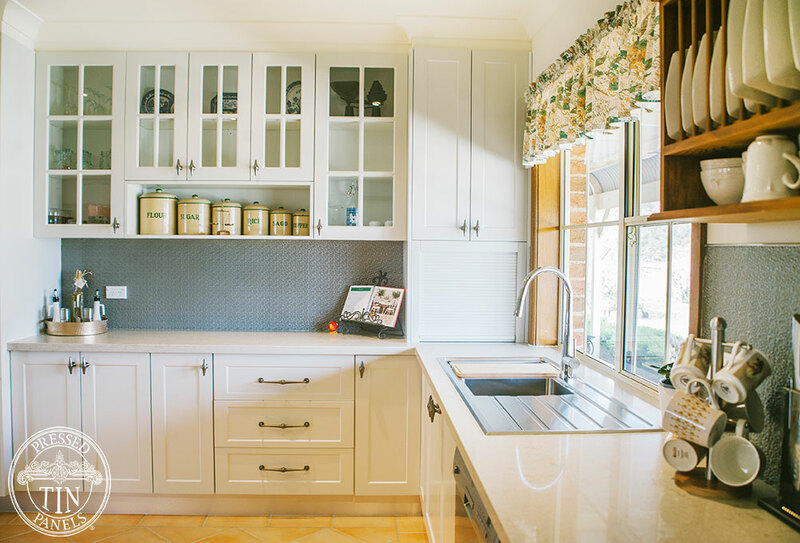 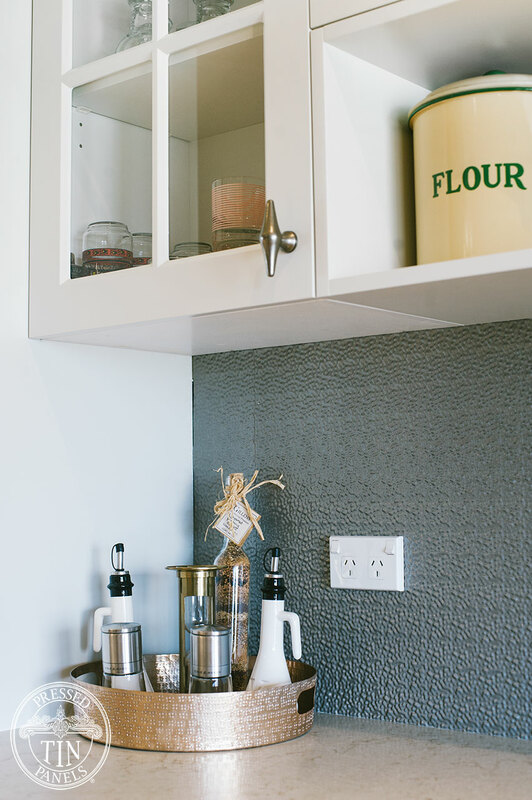 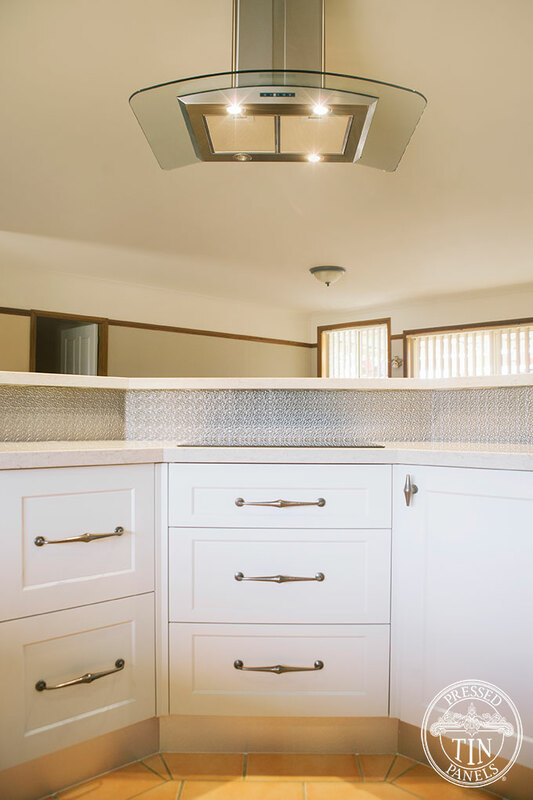 Bronwyn & Jim wanted something to jazz up their kitchen splashback and were keen on pressed metal but didn’t want an intricate pattern – they opted for more of a textural pattern – the Rough Cast Small. 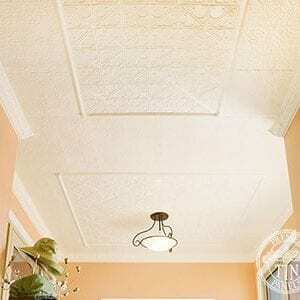 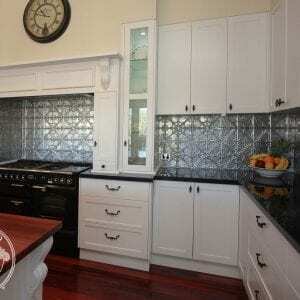 Traditionally used as an infill pattern for ceilings the Rough Cast Small used as a splashback proves very effective! 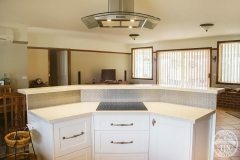 It features in this kitchen powder coated in Dulux ‘Platypus Kinetic Pearl‘ – a great colour to match back with stainless steel appliances. 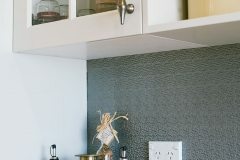 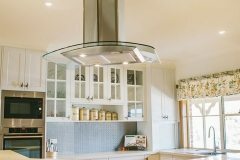 A practical, textured appeal without taking away from other kitchen features.